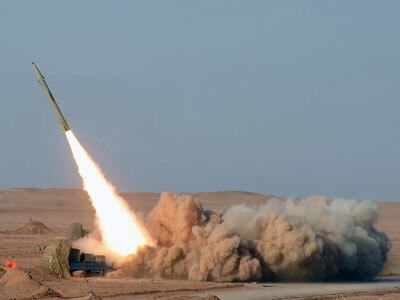 Iranian forces have conducted a cyber-warfare drill for the first time as their naval forces conducts major exercises in the Strait of Hormuz, testing a brand new air defense missile system. The Iranian navy has staged a cyber-attack against the computer network of its defene forces in order to simulate a hack or a virus infiltration of a foreign aggressor, the English language Iran Daily reported, quoting Rear Admiral Amir Rastegari. 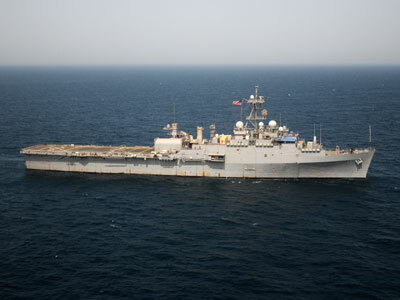 The Rear Admiral continued that the fake cyber-attack was successfully blocked by Iranian forces. Tehran has developed military and civil cyber units in the past few years to counter cyber-attacks on its nuclear sites, oil and industrial facilities, its communications network and banking systems. 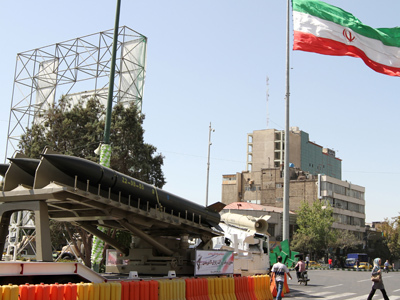 Tehran has allegedly been attacked by the Fame, Stuxnet and Gauss viruses, which managed to gather sensitive information about Iranian equipment and have hampered the work of its nuclear centrifuges. The US and Israel have been tacitly implicated in the virus attacks. Several submarine based missiles were tested during the attack, according to Iranian media sources. These included an Iranian made air defence system called Raad, or Thunder and domestically produced hovercraft. 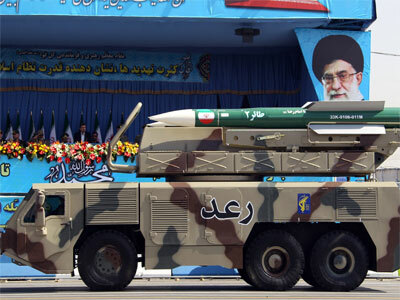 Iran says the Raad system is more advanced than the Russian one it replaced and can knock out fighter jets, cruise missiles and drones at a height of up to 23 km. 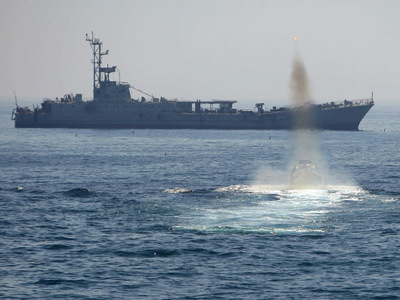 Tehran has been trying to build up a self-sufficient military in particular its navy since 1992,as Iran believes any future conflict will be fought on the sea and in the air. The drills come at the same time as the West is increasing pressure on Iran over its nuclear program which it suspects is aimed at producing a bomb. Iran insists it is purely for the peaceful production of electricity. The west has slapped sanctions on Iran for its nuclear program which they maintain is for the production of nuclear weapons. The west argues that imposing sanctions will make it harder for Iran to acquire the money and materials to develop a bomb. 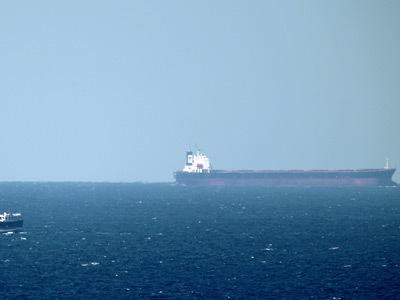 Iran has threatened to retaliate by closing the Strait of Hormuz.